My first pre-season delivery came with surprise: a greenhouse-grown zucchini. It really kind of threw me. 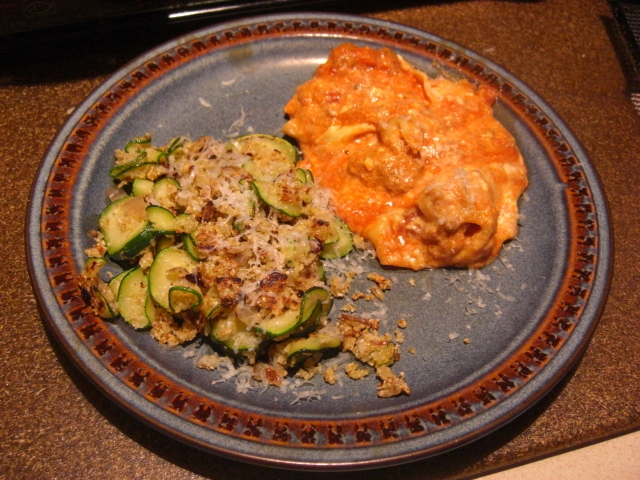 I’ve gotten used to patterns of seasonal produce, so I picked up this January zucchini and blinked at it for a while. Then I remembered stir-fried squash. 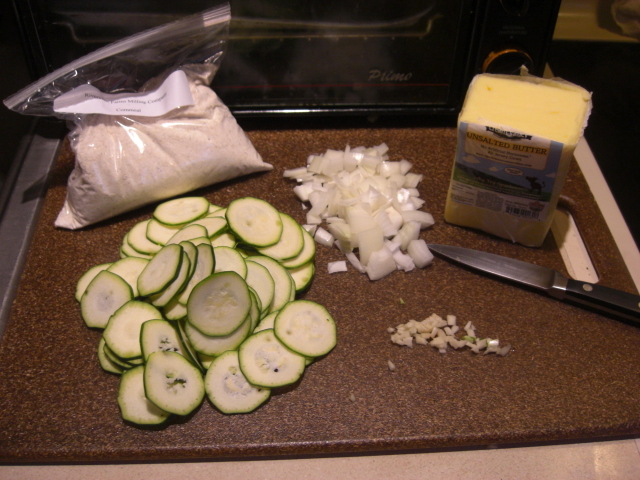 I sliced the zucchini on the mandoline and cooked it with some onion, local garlic, Sparkman’s Creamery butter and cornmeal from Riverview Farms. Using the mandoline is great for this recipe! The slices cooked quickly and evenly. They curled up in a pretty, ribbon-like way, too. Mmmm…. tastes like summer. Now if I could only remember what warm sun feels like.